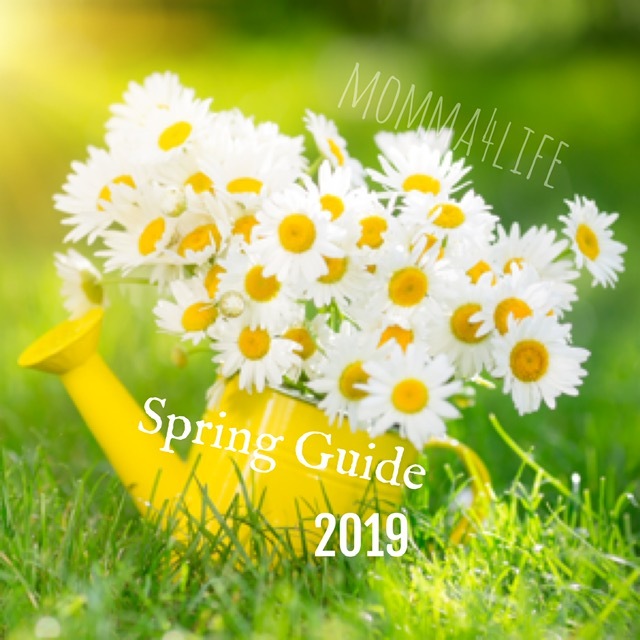 Welcome to my Mother's Day Gift Guide today I will be talking about a special company called Little Green Pouch what a cleaver idea you don't need the little pouches of baby food anymore. If you are like me when both Jordyn and Jayce were starting out with baby food I made all their food and at that time I never heard of these but they would of came in handy. We used them for apple sauce and the kid's were so excited to eat the apple sauce out of them. As you can tell by the pictures. 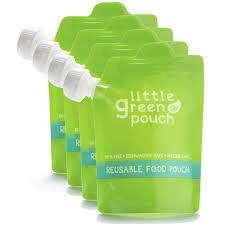 I love this idea that you can put your own baby food in these pouches and then wash them and reuse them. You can also freeze them too. What better way to carry some food on the go. Have a Dr appointment?? Or maybe going out for a picnic these are perfect. With Maggie’s first son, Kelley, trips to the grocery store were definitely on her “dread” list. When she had her second son, Finnegan, aka the Finn-A-Monster, it moved to the top of that list. But then Maggie’s grocery store began stocking those food pouches you've probably seen. On one particular visit, after substantial clamoring, Maggie caved and popped the tops of two pouches. A miracle ensued - she watched in amazement as her boys sat quietly in the cart, working out ounces of healthy fruits and veggies, which they wouldn’t dare eat out of a bowl. Never missing an opportunity, she sped through the remaining grocery store aisles in relative peace. 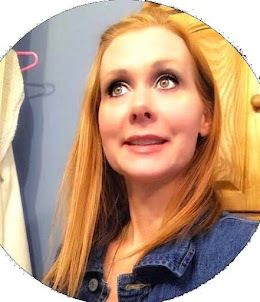 By the time the shriveled pouches moved along the conveyor belt to checkout (yes, she paid for them) Maggie realized that she had all of the items on her shopping list, and when was the last time she had done that? Someone’s new product had just made her life easier, and she was in love. But Maggie’s romance with food pouches was short lived. Yes, she loved the fact that her kids could feed themselves, that they would actually be clean after doing so and that she didn’t have to lug around spoons, bibs, bowls, napkins and breakable jars. But she found that the pouches were expensive and offered a limited variety of foods. And she cringed each time she had to throw the single-use packages in the trash. That is when she realized the world needed a “reusable” food pouch that could be filled with the foods her kids like (or she wants them to like), which would help her save money, as well as the planet. Not a bad idea, right? But an idea is just an idea until you make it happen, so Maggie reached out to her close friend (designer and recent new mom of baby Bailey) Melissa to help. Maggie and Melissa realized that they wanted a product that wasn’t just practical, but that was also, well, beautiful. Something they'd be proud to whip out at the playground, park or store. Even something they'd eat out of themselves. After several planning sessions, Maggie and Melissa realized that they had the perfect team to make this a reality. And the Little Green Pouch was born. Fill-able: Zipper sealed at the top so the pouch can be opened & filled with up to 6 Oz of your favorite pureed foods, For the 1st use, remove cap & blow into pouch to expand it to its full, supple shape! Reuse-able:Our food pouches are made of durable, BPA-free, PVC-free & phthalate-free plastic. They are built to withstand those beatings that only young children can give & (after cleaning) take some more. Freeze-Able: If you like to cook homemade baby food in big batches, why not fill up a bunch of our reusable pouches and pop them in the freezer for later use? You can defrost them in warm water when you are ready to enjoy. Or, pack them as freezer packs in your lunch in the morning – they’ll be ready for squeezing by the afternoon. 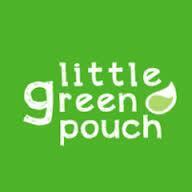 And now for the Giveaway enter to win your own pk of little green pouches!! Open to Us and Canada Residents!! My children are older. I would be giving this to my niece for her daughters. I used small Tupperware containers. I make my daughter's food and freeze it in the Beaba trays, when solid I transfer them to ziploc bags. Would love to have some pouches for easy transportation though. I do not make my own--but I would like to try! I usually buy Plum Organics or Ella's Kitchen pouches. I used to make it, but my daughter's old enough for regular food now. I would love to use the pouches as on-the-go snacks instead of the store bought ones! I never made baby food but Im thinking my next baby I might try making it. I plan to for my little one coming in September! I'm still doing research, so not sure about storage yet. Both of my daughters make baby food for their infants. yes, make baby food, some stored in small Tupperware, some in ball brand freezer containers (plastic cups with lids), some in those tiny zipper bags made for storing breast milk in the freezer. Yes, I make baby food and I stored it in food pouches or plastic containers.